In the summer of 2012, I was one of the participants in the Integrated Optics for Undergraduates REU within CIAN. My project for the summer was using a free program, 123D Catch, to make 3D models of real objects in order for them to be written as holograms. 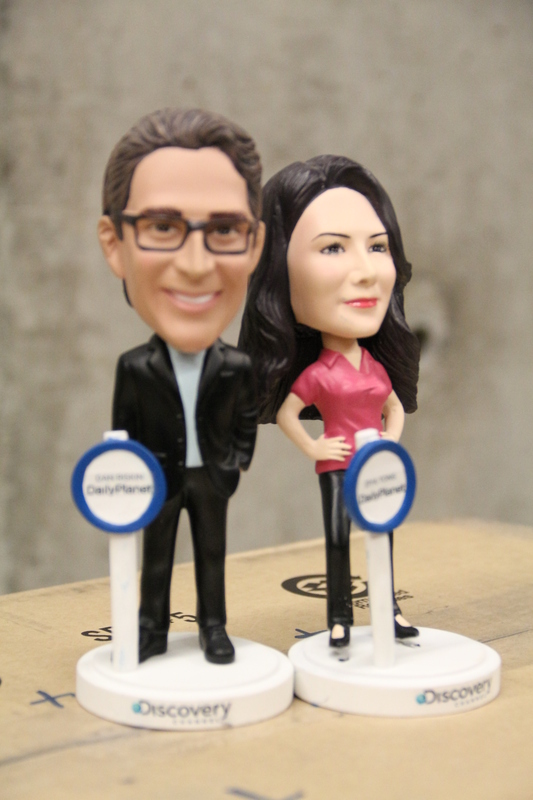 Because the lab has this ability as a result of my work, the Discovery Channel folks brought bobbleheads of the show hosts, since they were unable to come themselves. 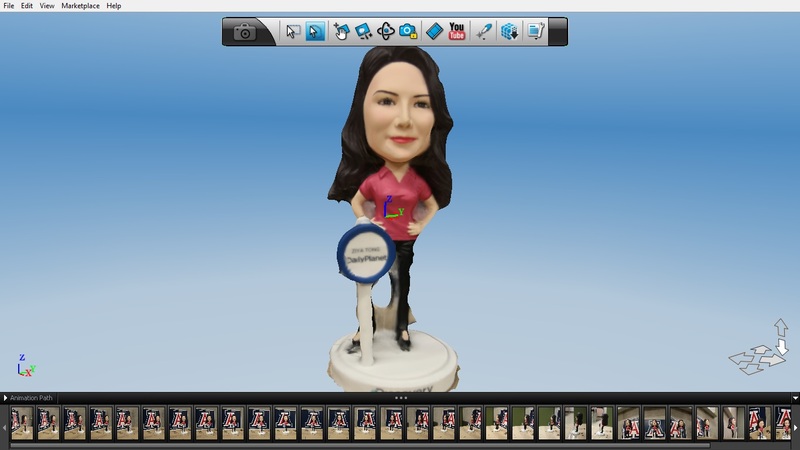 It was then my task to make 3D models of the bobbleheads so holograms of them could appear on the show. Thankfully, they dropped off the bobbleheads the day before, so I could go through the process of making the models, which I’ll describe to you. The process starts with taking pictures. 123D Catch uses pictures taken from multiple perspectives to create a point cloud model of the subject of the pictures, and applies a texture map to them that makes it look like the original model (a technique known as photogrammetry). 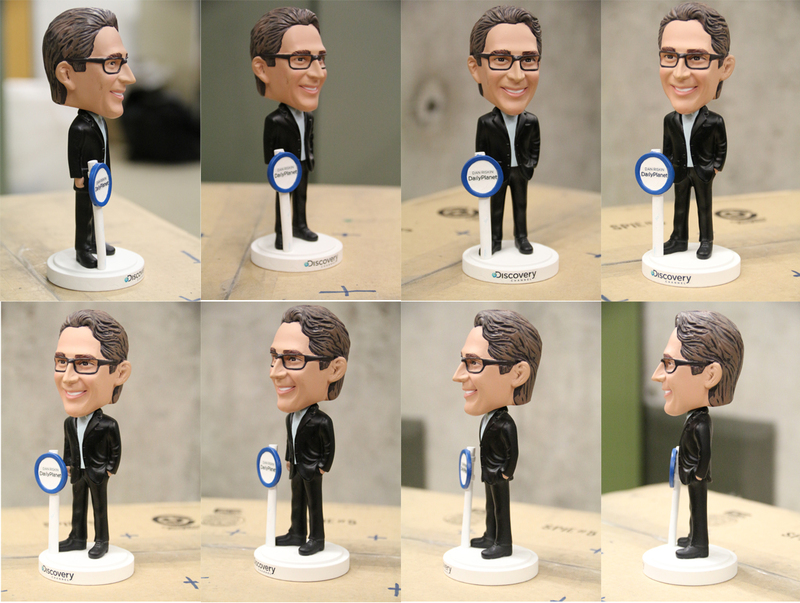 I took several pictures of each bobblehead from multiple angles in order to input them into 123D Catch. Once I had received the models back from 123D Catch’s servers, I then cleaned them up. Each of the models had portions of the walls behind the bobbleheads as well as the box I put them on that I didn’t want in the final model. The program we use to generate the hologram requires a specific file format, collada or a .dae. Unfortunately 123D Catch cannot export to this file format, so I have to send the model through two other 3D editing programs in order to get it into the needed file format. Doing so also gave me the chance to add a University of Arizona logo behind the models. Once there, I used our hologram editing software to create our holographic pixels, or hogels, that we use to generate the hologram. It took several tries to get them to look perfect, but I was pleased with how good they looked. The next day, the Discovery Channel team arrived and our interviews began! 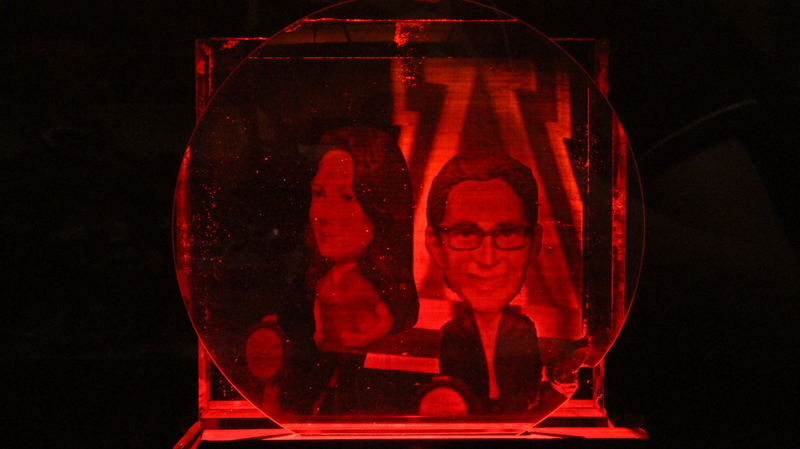 They interviewed myself and Dr. Pierre Blanche, who is the expert in our group on these holograms. For myself, I talked about the optics of the hologram system in very simple terms, and explained how I made the models, which was basically a condensed version of what I’ve written above. We were told that the show typically has around a three month turnaround time between when an episode was filmed to when it will be aired, so hopefully we’ll get to see the episode around the beginning of next year. I’ll be certain to post it here when we do. It was great to host the Discovery Channel for a day and quite the experience! This entry was posted in Outreach, Research and tagged 3D, CIAN Students, Discovery Channel, optics, outreach, research. Bookmark the permalink.